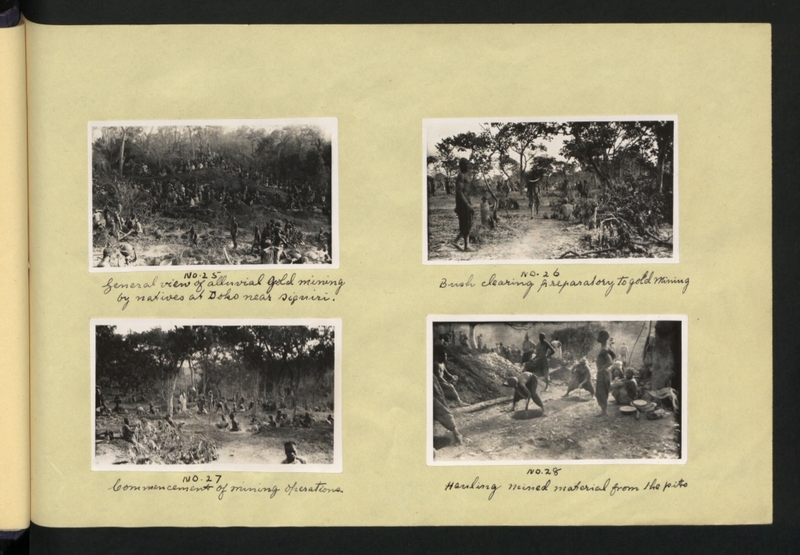 Description: General view of the alluvial gold mining by natives at Doko near Siguiri. Description: Bush clearing preparatory to goldmining. Description: Commencement of mining of crations. Description: Hauling mined material from the pits.